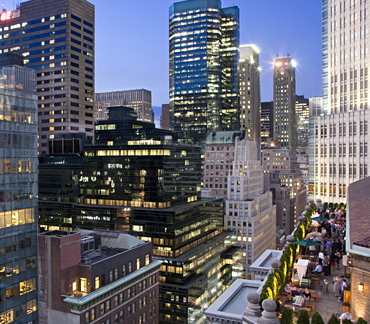 Join us for a Happy Hour at Mad46, located atop the 19 floor of the Roosevelt Hotel, just around the corner of Grand Central. Ask for the Swiss Ski Club. Rain - let's meet at the covered lounge, shine- outside on the terrace, by the bar and couches. Note that Mad46 lounge Happy Hour starts at 9 pm, so we have plenty of time to chat and enjoy the spectacular views of the city.